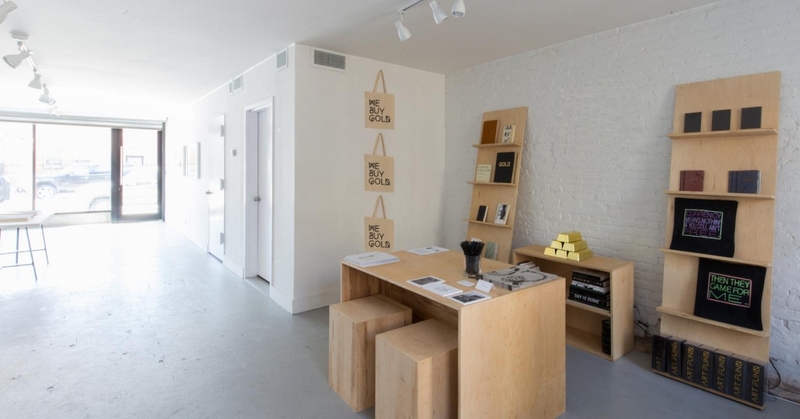 Space is fundamental to sculpture, both as an element of form and as a site for perception. 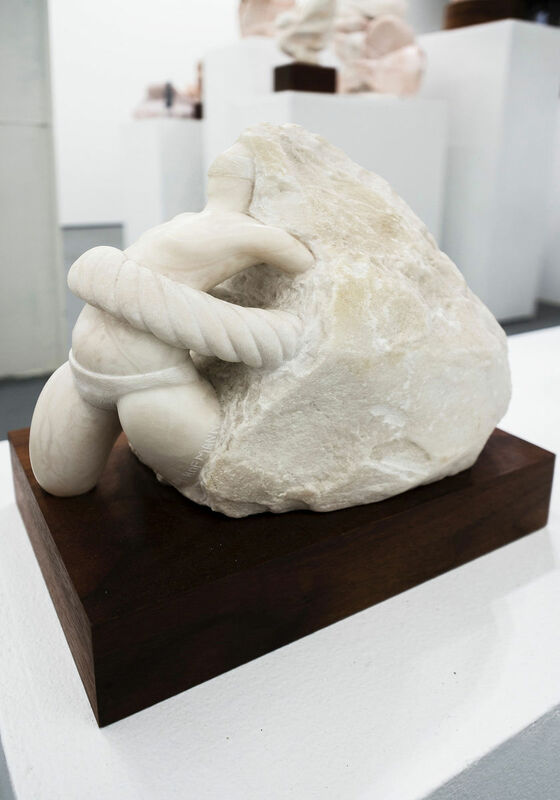 Kay Hofmann’s stone carvings nimbly traverse space as a subject matter while hand in hand insistently depicting a female protagonist. The sculptures must be orbited in order to see how the contours shift their recognizable content. 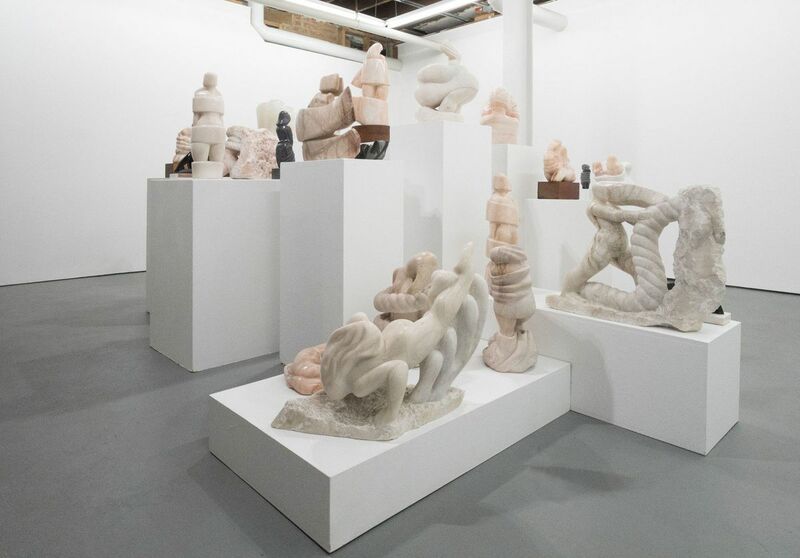 The installation of Hofmann’s work at 4th Ward Project Space is a group of these undated sculptures that create a poetic, collective oscillation between abstraction, figuration, atmosphere, and a reminder of… rocks. Just rocks. Hofmann’s sensitivity to stone as a material calls to mind suiseki, the Japanese tradition of revering stones for their natural likenesses to landscape or objects, formed through entropic forces. Unlike suiseki Hofmann’s stones are cut, chiseled, polished, and buffed by her own deft hand. In doing so, the artist is sensitive to the natural physical properties of the stones’ veins, textures, and densities. This affects not only the way Hofmann’s stones are shaped toward depiction, using the veins or sediments to persuade the image, but also some sense of shadowing a stone’s life as a particular rock encountered in the field. The stones are carved and evidence as such, especially in the forms that maintain the vernacular rock as a stable ground from which the figure emerges. But Hofmann also eclipses the raw material, giving fullness to the volumes as they swell, reaching out toward the boundaries of the surface from within the stone. 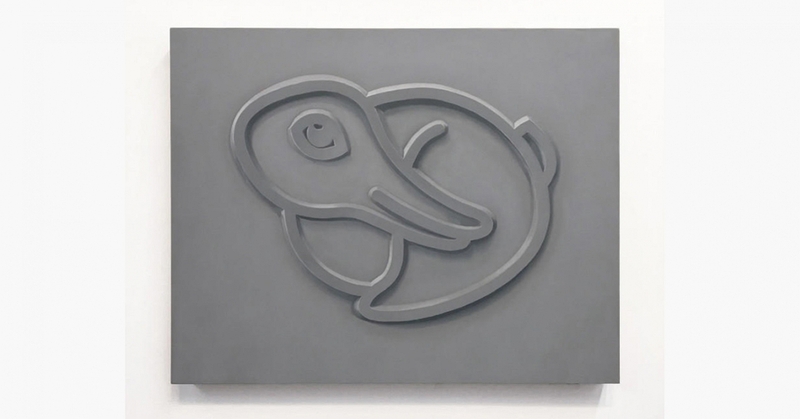 Even as Hofmann pulls material away in the reductive carving process, the sculptures still seem to push into space like a deep solid breath in the lungs. 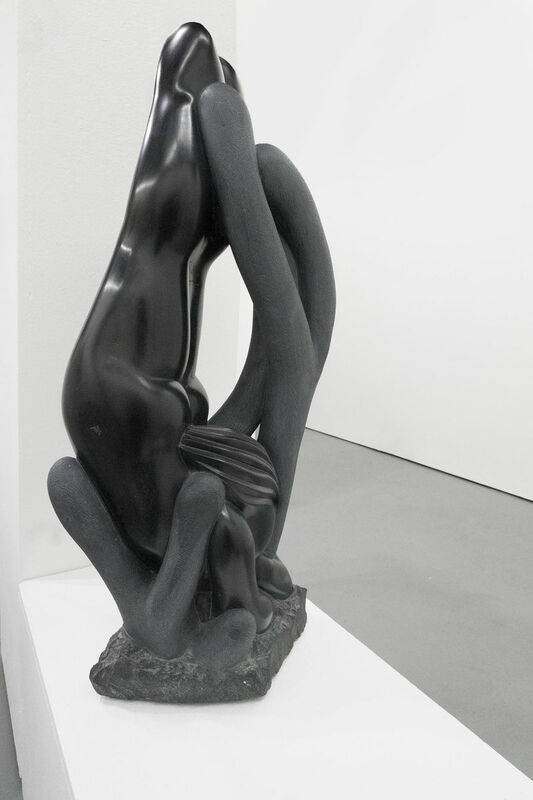 Her formalism illustrates a stylized figuration of concentrated, voluptuous figures predominantly in long actions – standing, stretching, bending, diving. And yet it’s not particularly the gestures that are the focus, but the environment that surrounds and produces that gesture. The divers are soaring in extended repose through the water, the figures hold steadfast within the billowing wind, or arch and pull out of the stone like a female Prometheus, done with their hold and born from the rock. In all this, there is the claim for agency within an environment of constant restraint, be it from elemental or metaphorical binds. Here the protagonist is outside of time. 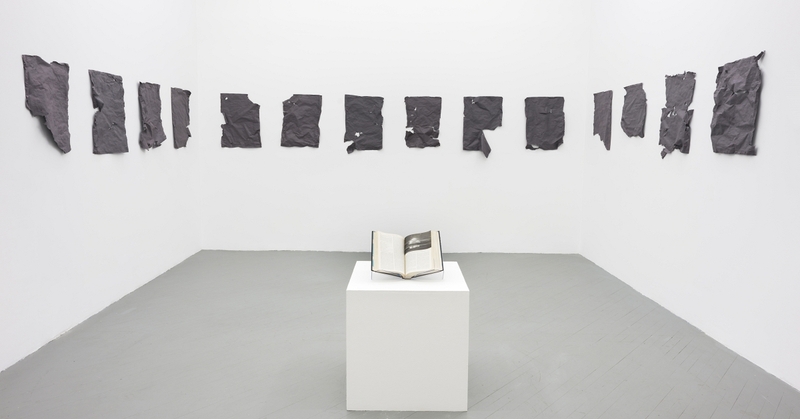 Having halted the practice of dating her works “a long time ago”, Hofmann insists on the present tense with the eternal promise of stone. Hofmann’s female agent is not languid and vulnerable, but continually aware and wrestling. Even when bound, the image is stoic with an efficient power, not resigned. The blindfolds seem not so much to signify the loss of sight as the removal of the gaze and access to insight, albeit possibly a condition brought on by external forces. These figures see steadily further as they stand headstrong in the wind, forever young now.